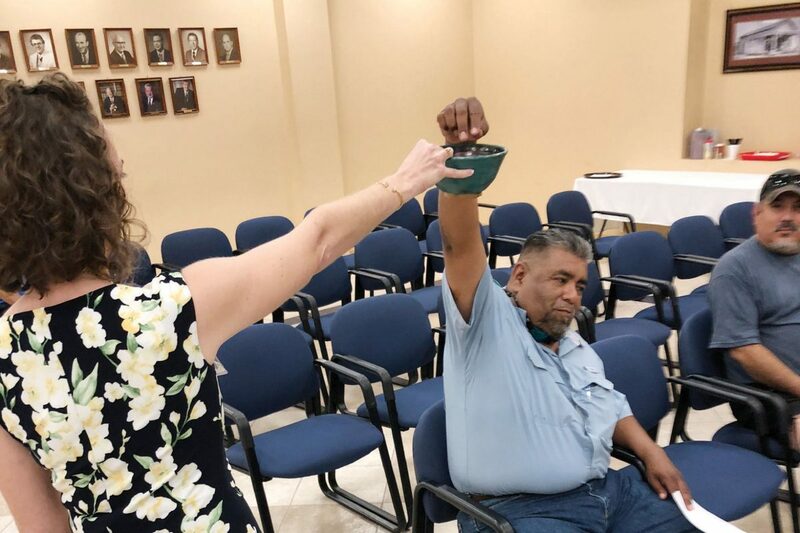 Cristina M. Garcia | cgarcia@themonitor.com District 4 Weslaco City Commissioner Jerry Tafolla selects a number at Weslaco city hall Monday during a drawing for a place on the November ballot. WESLACO — Commissioners Jerry Tafolla and Leo Muñoz will each face two opponents in the upcoming November election, a field of candidates solidified within the final seven minutes preceding Monday’s filing deadline. Dina Murillo, 39, a sales representative with WoodmenLife insurance company and Julie Ann Valdez, 34, a teacher at Weslaco East High School submitted their paperwork just before Monday’s deadline to run against Muñoz, an engineer and owner of Trinity MEP Engineering LLC. Muñoz was first elected to serve District 1 in 2015. 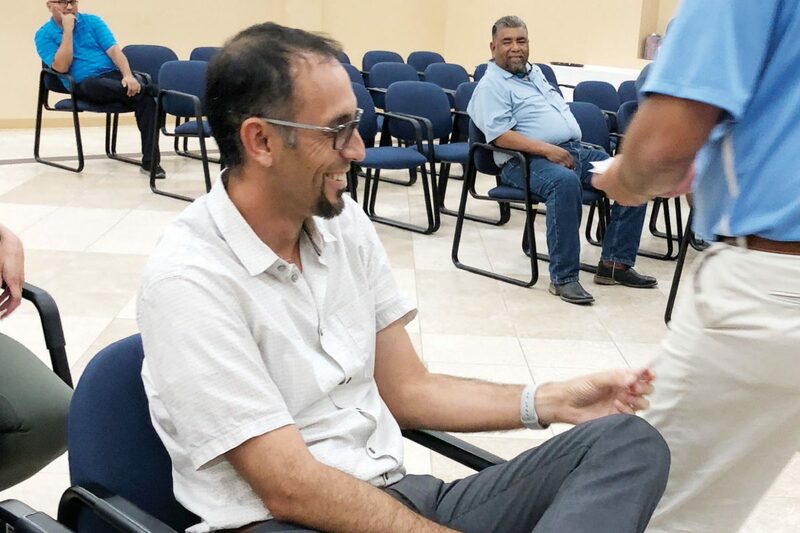 “It’s always been my desire to at least serve for two terms,” Muñoz said, adding that he still wants to accomplish other goals that include improving drainage and streets. Muñoz said while his campaign workers will be solely block walking in his district, he supports Tafolla’s re-election effort. Cristina M. Garcia | cgarcia@themonitor.com Leo Muñoz, Weslaco city commissioner for District 1, draws a number for his place on the November ballot at Weslaco city hall Monday. 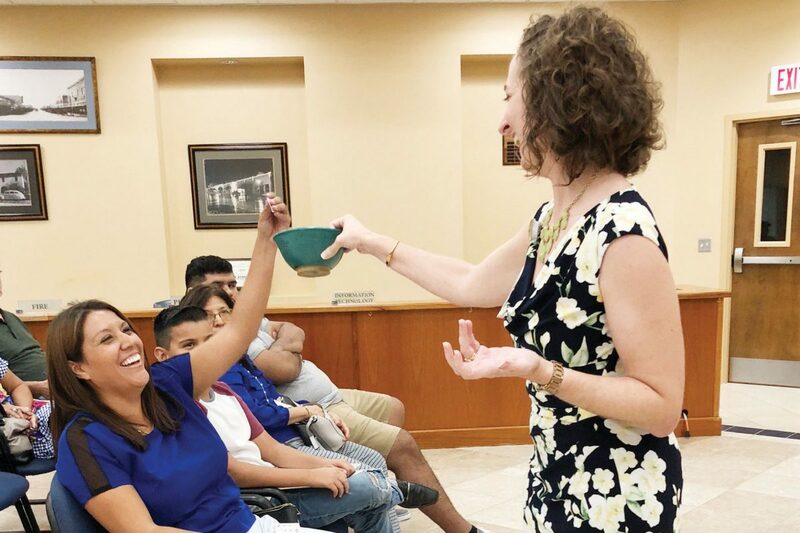 Cristina M. Garcia | cgarcia@themonitor.com Dina Murrillo laughs as she draws a number from Weslaco City Secretary Elizabeth Walker for Murrillo's place on the November ballot Monday at Weslaco city hall. She and challenger Julie Valdez are vying for District 1 City Commissioner Leo Muñoz's post. 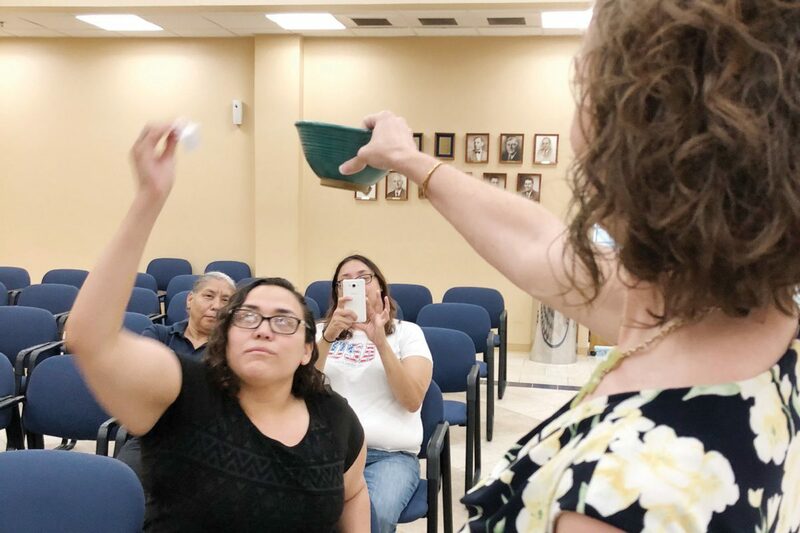 Cristina M. Garcia | cgarcia@themonitor.com Julie Valdez holds the number she drew Monday at Weslaco city hall for a place on the November ballot. Valdez is running against District 1 Weslaco City Commissioner Leo Muñoz and challenger Dina Murrillo. Valdez said she’s always taken an interest in politics, particularly at the national level, but the city commission’s response to drainage following the flood in June drew her in locally. Lupe Garcia and Roberto Vega filed to run against the commission’s most senior officeholder, Tafolla, who has been serving since 2009. Tafolla, who works with the office of Precinct 1 Hidalgo County commissioner, wants a fourth term in office. Muñoz, Tafolla, Murillo and Valdez attended a drawing for their position on the ballot held Monday at City Hall. City Secretary Elizabeth Walker also facilitated the drawing for candidates’ campaign positions on the City Hall parking lot, mandated by a city ordinance. Walker informed the candidates that their applications will be vetted to ensure they meet requirements to have their names on the ballot, which include being a registered voter within their respective districts as well as residing there.